If you’re having trouble with your line’s equipment, rest assured that Technical Packaging Systems can help by providing experienced, cost-saving packaging machinery technical service. As a packaging and material handling distributor and integrator that operates in nearly every industry, we’ve seen – and addressed – it all. With the assistance of our well-trained technicians, you can be confident that your line will be up, running, and productive in no time flat. 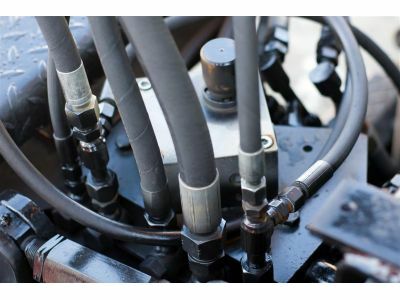 In today’s post, we’re going to look at a few of the reasons why you should consider Technical Packaging Systems when it comes time to service your equipment. During our first visit, our team will arrive with all the parts necessary to fix your equipment. Our parts inventories are managed to meet the most common service problems that may occur. If we need to order a part, we’ll do so before visiting your plant so that your job can be completed in a single visit. Our team is comprised of the best trained technicians in the industry. Every member is trained to the highest levels, including PLC programming capabilities, factory ongoing machinery training, machinery rebuilding, and more. How your machine is set up to run your material can greatly affect your overall unit cost. Film breaks, film weight per load, and cycle times are all very important to your machine’s efficiency. We can help you achieve “machine optimization” to ensure that your equipment is reliable and trouble free at the lowest overall unit cost. At Technical Packaging Systems, we are committed to offering the industry’s best packaging machinery technical service. Our experienced team and dedication to optimization ensures that your line will operate smoothly, productively, and – most importantly – profitably. If your line’s equipment is in need of a tune up, contact us today to learn more!